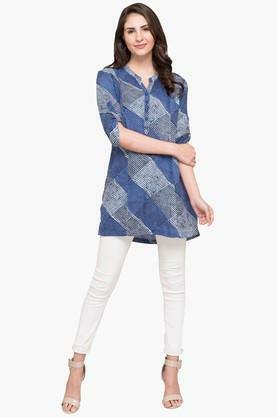 Suitable for the modern woman, this kurta from Sanaa will be a fine addition to your clothing collection. 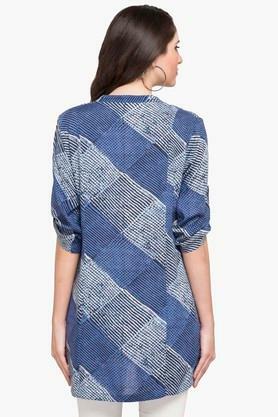 It features a print pattern along with a mandarin neck that makes it look fashionable. Besides, it is tailored with care using a supreme quality fabric, hence it is quite easy to maintain. 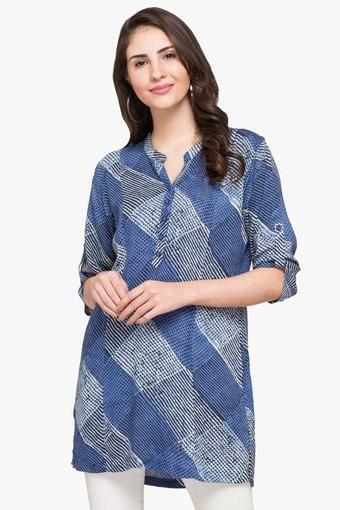 Be a trendsetter by wearing this kurta with a pair of leggings in a contrasting shade. Made of a fine quality fabric, it can be worn on any casual occasion.